These are extraordinary times in the industry. This is not a cyclical change, this is a transformation period. LONDON — There was a time when the U.S. military had to scramble to book commercial satellite capacity. With forces deployed around the world, it seemed there was never enough bandwidth to stream live video and fly surveillance drones over war zones. Circumstances have changed. The satellite communications industry has dramatically scaled up capacity and has no plans to stop, to the point that supply is now outstripping demand. “There’s orders of magnitude more supply coming” from geostationary satellites, and even more on the way as “new space” low-Earth orbit constellations enter the market over the next decade, said Christopher Baugh, president of Northern Sky Research. His “conservative” estimate is that satellite service providers will generate 7 terabits of capacity by 2026, potentially far more than might be needed based on projected demands, Baugh said Wednesday at the Global Milsatcom conference. The U.S. government — mostly for military use — has historically been the industry’s largest single purchaser or leaser of capacity. So the prospect of abundant and cheaper bandwidth should give Pentagon buyers a reason to smile. The cost of satellite communications has dropped in recent years and over the next six to 12 months could dip further, according to Baugh, from 3 percent to 20 percent depending on the applications. 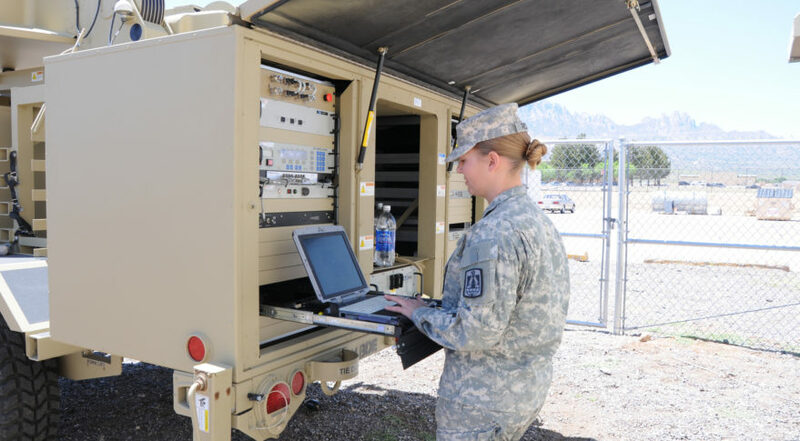 For the military, it’s an opportunity to grab bigger data pipes for missions like mobile command and communications, operations of remotely piloted aircraft and live video streaming. In the government and military, said Baugh, the “great debate” is how to procure this available capacity. Overseeing the Pentagon “analysis of alternatives” study on future wideband procurement is Col. George Nagy. He works in the office of Air Force Secretary Heather Wilson, who also serves as the defense secretary’s principal space adviser. Nagy said the government is going to great lengths to understand what’s happening in the private sector and has regularly invited executives from top satellite providers to pitch ideas. The Air Force Space and Missile Systems Center also has awarded study contracts to several companies to experiment with different ways to buy satellite communications services. Also participating in the study are representatives from 15 partner countries and NATO. “This is no different than developing an investment strategy for a corporation,” Nagy said. Everyone’s needs are being taken into account, although the defense secretary ultimately will decide how the Pentagon will spend its satcom dollars.